INSPIRED by her childhood summers in Cordalba, author Selena Silcox has released a romantic novel aimed squarely at lesbian teens. Crush is the first in a series of sweet romance novels and takes place on a sugarcane farm in the fictional small town of Chesterfield. Miss Silcox, writing as SR Silcox, said the story arose from her desire to give lesbian teens some sweet romance books with main characters just like them. "I think it's important that teens see themselves reflected in fiction," she said. "Seeing characters whose experiences reflect their own, shows lesbian teens that their stories are valid." A lesbian herself, Miss Silcox said she was passionate about diversity in fiction and the media, especially for LGBT teens. With shows like Orange is the New Black and Modern Family featuring LGBT characters, Miss Silcox said teens had more people they could relate to in pop culture than ever before. 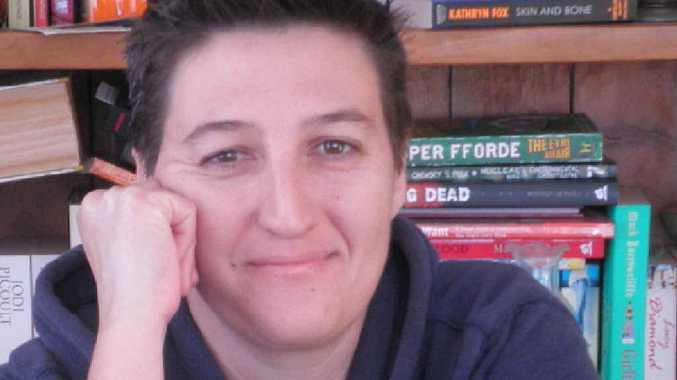 "LBGT books are expanding, but slowly, and it tends to be for the older market," she said. "I just wanted to fill up the space with short, sweet romances." Heavily influenced by the sweet romances she read as a teenager in the '80s and '90s, the Girls of Summer series will be a collection of stand-alone novels. In her novel, main character Tess Copeland is fighting to save her family's beloved Crush Festival. Maddie Lambert's arrival in town proves a welcome distraction for Tess, but city-girl Maddie has a secret of her own that could change everything. Miss Silcox drew inspiration for Crush from her childhood summers spent on her grandparents' farm in Cordalba. "I had some great adventures on the farm when I was growing up and I've given a few little nods to some special places and farm items in the book that people familiar with the area might recognise," she said. "Though I never had a summer romance like Tess and Maddie do." Crush is available from ebook retailers including Amazon and Kobo. The print-on-demand paperback option was released last month and available from Amazon and the author's website at http://www.srsilcox.com.